Cornerstone content is vital for both seasoned bloggers and anyone launching a brand-new website because it can help you accomplish many of your content marketing goals. 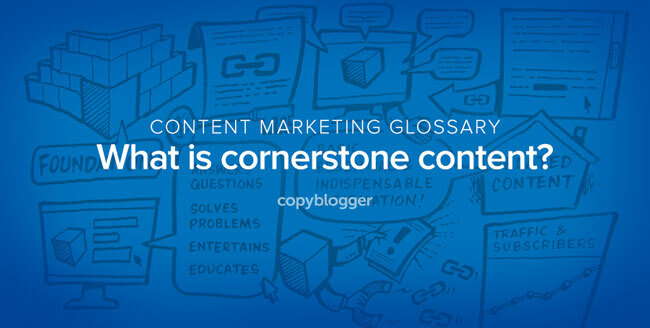 But what exactly is cornerstone content? Online, cornerstone content is the basic, essential, and indispensable information on your website that answers common questions, solves problems, entertains, educates, or all of the above. The key is creating compelling content that’s worth linking to and then finding ways to get the word out. A page hosting cornerstone content helps readers by pulling all of your content about a specific topic together in one place. You’ll often link to your cornerstone pages in your everyday content because they help define common topics you talk about on your website. Each cornerstone content page is a home for related content. It groups basic, essential, and indispensable information onto one page. Cornerstone pages let you highlight your most important archived content. They also help you attract links, get subscribers, and increase traffic. And that’s the goal of every profitable website. Cornerstone content is he the ultimate thing. I am yet to create one which I am proud of, however this video and others gem by Brian and Sonia are helping me. This is the helpful video to someone who is starting to learn and grasp the idea on cornerstone content. I am learning this series of great videos. From content glossary to epic articles and video explaining every bit of content marketing, I am loving my time over here.